Justice For All – Prison Fellowship Ethiopia (JFA-PFE), initially known by the name “Prison Fellowship Ethiopia (PFE)”, was founded in 1992 as a non-government organization in the Federal Democratic Republic of Ethiopia (FDRE). Since its establishment, JFA-PFE has been working on the improvement of prisoners’ lives and handling them in its holistic manner. Later on in 2006, it became evident that improving prisoners’ wellbeing requires embracing the entire justice sector and this led the organization to gradually expand into the area of promoting human rights, good governance and rule of law in Ethiopia. As a result, the then Prison Fellowship Ethiopia (PFE) restructured itself as “Justice for All – Prison Fellowship Ethiopia” (JFA-PFE).To date, the organization is making gap-filling interventions in the justice system of Ethiopia for prevalence of justice which is very fundamental to enhance and sustain development of the country. Justice for All – Prison Fellowship Ethiopia in collaboration with Southern Nations Nationalities and peoples’ Regional State conducted two rounds of human right protection and conflict resolution training for Militias. JFA-PFE’s advocacy interventions focuses on restoring systemic issues including legal, policy and institutional limitations. JFA-PFE aims to increase the conceptual and practical capacity of top justice sectors and other executive and judiciary officials through trainings and workshops. JFA-PFE’s service delivery mainly focuses on improving access to services and resources for the full-fledged fulfilment of human rights by providing basic needs. Birtukan Dessie grew up in Meket woreda (district), North Wollo zone, Amhara region in Ethiopia. 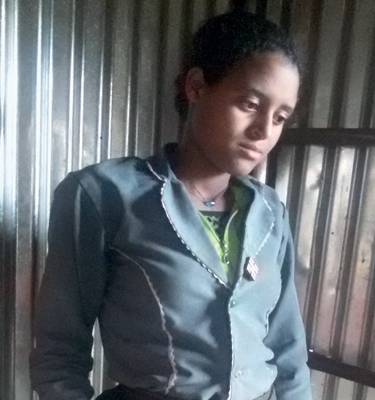 15 year old Tirualem Temesgen ran away from home, which was in Bibugan woreda (district), East Gojam zone, to escape the pressure of child marriage. 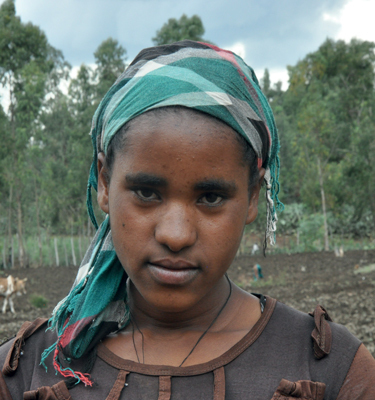 Teshale Asmamaw was one of the girls from her school, Enebrei Elementary, who was selected to attend JFA-PFE’s training about the harms of child marriage in 2014.